Before I enter Room 101, I must surrender my passport and phone. My pockets and possessions are examined. The food I bring is inspected. The man who guards Room 101 sits in what looks like an old-fashioned telephone box. 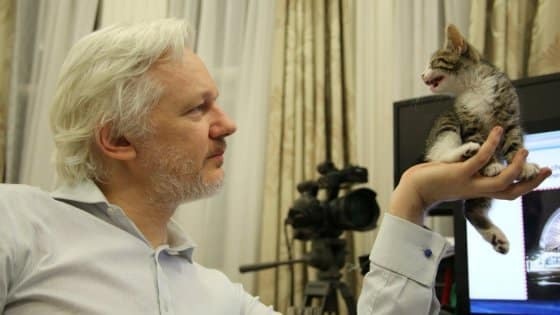 He watches a screen, watching Julian. There are others unseen, agents of the state, watching and listening.